The two cruising boats in the 2016 edition of ANZ Sail Fiji will set off on Wednesday 1st June, the first day of winter. At the cruising weather briefing held at Royal Akarana Yacht Club, skippers Hamish Milne (Moody Blue) and Pip Sawyer (Sharpe Focus), together with the RAYC Race Committee, made the decision to start at 1130 hours on Wednesday the 1st June. Georgina Griffiths from MetService provided a comprehensive weather analysis and made the recommendation to set sail sooner rather than later. A weather window from the 1st to the 3rd June was available, but it’s now confirmed that Moody Blue and Sharpe Focus will get underway the day winter blankets New Zealand. “It’s going to be lumpy out there, but all the models are saying that breeze imminent and you will get hit with northerly gales,” said Griffiths. The cruising division is a way for the more chilled out sailors to travel to Fiji knowing they are being monitored by a dedicated team. The boats are fitted with a Yellowbrick tracker and will be communicating with Race Control and each other for the duration of their cruise. 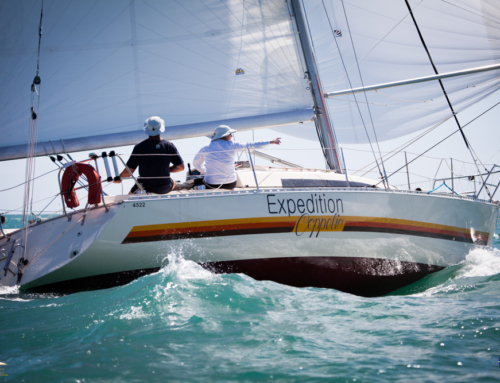 Hamish Milne, owner and skipper of Moody Blue, has had an intense lead up to this cruise. Milne is also a sponsor of ANZ Sail Fiji with his shipping and logistics company Burnard International supplying the container to get everyones surplus gear to the tropical island. “We had a container load of stuff. Delivery sails, tenders, bikes you name it! 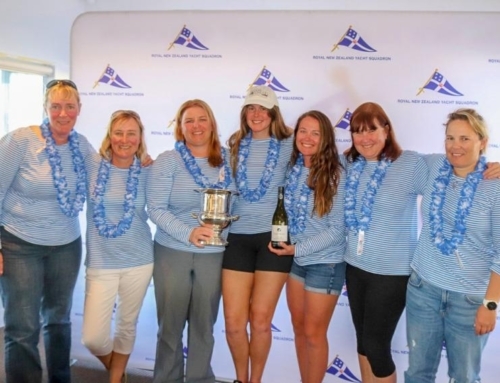 A lot of the boats in the racing fleet are going to cruise the islands once the serious stuff is over, and it’s great that we can provide the service to help them achieve that goal,” said Milne. 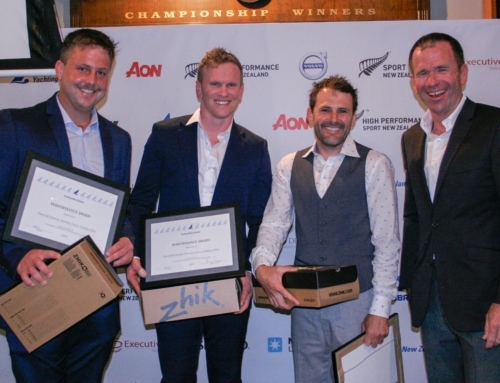 Milne was thanked by the Race Committee for his ongoing commitment to ANZ Sail Fiji. The cruisers get to complete the 1,100 nautical mile course in a less stressful environment. While there are some die hard sailors on board, the two boats are bound to “race” each other, but knowing they have a comfortable berth to rest their head is something they are grateful for. “I wouldn’t want to be on Crusader35 or Anarchy for a race like this! Full respect to those guys for showing some awesome offshore determination!” laughed Milne. A potential fishing competition is brewing between Sharpe Focus and Moody Blue with each fish caught requiring a photo as proof of catch. Pip Sawyer, who celebrated her birthday on Tuesday 31 May was excited to soon be sailing away from the cold Auckland weather.